We invite you to attend the Ornithological Congress of the Americas in Puerto Iguazú, Misiones, Argentina, from 8–11 August, 2017. Puerto Iguazú is located in the heart of the interior Atlantic Forest and is the portal to the Iguazú Falls, one of the world’s Seven Natural Wonders and a UNESCO World Heritage Site. The area surrounding Puerto Iguazú, the province of Misiones and neighboring regions of Paraguay and Brazil—in addition to its many scenic attractions and natural areas like Iguazú National Park—offers unique opportunities for birdwatching. Over 500 species have been recorded, including many Atlantic Forest endemics like the Blue Manakin (Chiroxiphia caudata), the emblem of our congress. This is the first meeting organized by the Association of Field Ornithologists, Sociedade Brasileira de Ornitologia, and Aves Argentinas and promises to be an outstanding professional experience for both students and researchers. The congress will feature workshops, symposia, over 350 scientific presentations, 7 internationally renowned plenary speakers, and a celebration of 100 years of Aves Argentinas! May 15th: Deadline for workshops and symposia proposals. Travel and presentation awards deadline. 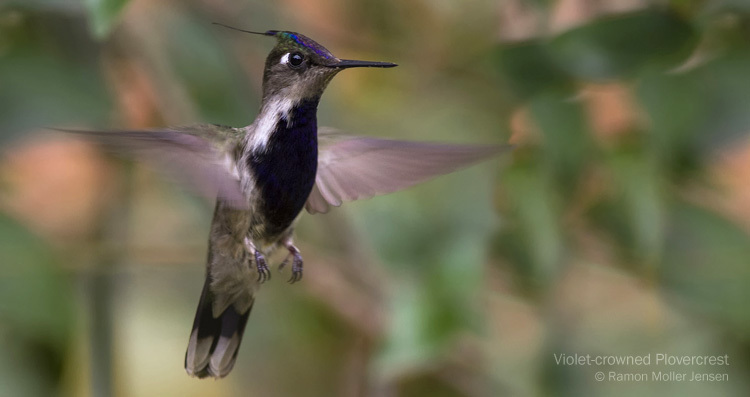 Copyright © 2019 Ornithological Congress of the Americas. Powered by WordPress. Theme: Spacious by ThemeGrill.